If you are a visitor to Kentucky - the Bluegrass state, plan a unique ghost-hunting adventure and stay at one of Kentucky's historic haunted hotels. And if you are a resident of Kentucky, get to know your state's spookier side and embark on an exploration of theunexplainable and visit one of Kentucky's very own haunted hotels. One of its most haunted hotel is the historic Old Talbott Bed & Breakfast, which boasts a haunted tavern, as well as the ghost of Jesse James! The Seelbach Hilton is a lavish turn-of-the-century hotel filled with the grandeur of the Kentucky Derby. It is designed in opulent Beaux-Arts Baroque style and conceived by two Bavarian brothers, Otto and Louis Seelbach, back in 1869. 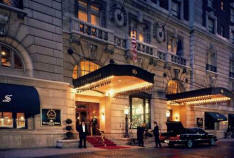 Many historically famous people have stayed atThe Seelbach. Nine U.S. presidents and F. Scott Fitzgerald were once guests. 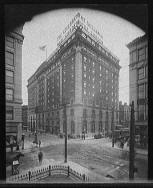 Even Al Capone and other gangsters from the 1920's frequented The Seelbach. Back in 1936, a young bride eagerly awaited her new husband in The Seelbach's ballroom for their wedding reception. On his way to the wedding, he was tragically killed in an accident. Heartbroken, the young bride ran off and threw herself down an elevator shaft. The wedding party found her body, clad in a blue dress, 10 stories below. Since the incident, some guests have reported seeing her in the middle of the night … and recall the aroma of a mysterious perfume. Could it be her sorrowful soul, or perhaps another ghost? 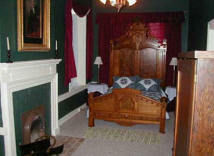 The Old Talbott Bed & Breakfast dates all the way back to 1779 when it was once an old stagecoach stop. 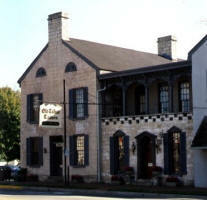 The Old Talbott Tavern is said to be the oldest western stagecoach stop in America as the westward expansion brought explorers from the east into Kentucky. 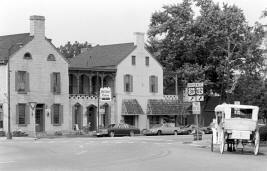 The Old Talbott Tavern provided food, drink and shelter to such famous people as Daniel Boone, Washington Irving, Jesse James, General George Rogers Clark and even the future president, Abraham Lincoln. Rumor has it that General Clark still has an outstanding bill at the Tavern. We assume it won’t get paid! But history shmistory, right? You wanna hear about the ghosts. Rumors have it that the ghost of Jesse James still pays visits to his old stomping ground. You can even see the bullet holes in paintings that Jesse James put there himself. Besides James’ ghost, there have been sightings of a mysterious woman who seems to haunt the place as well. Patti Starr, Certified Ghost Hunter, has been featured on Food Network, “The Best of Fright Food” filmed at the haunted The Old Talbott Tavern! You can both visit the Old Talbott Tavern or stay in one of its five rooms (right), each named after someone famous or infamous who have visited in the past.